If they had been feeling any stress or frustration over a nearly five-hour departure delay, the cabin crew of Condor 1048 wasn’t showing it. 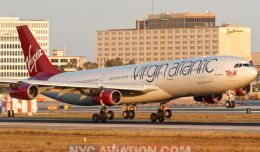 As the crew welcomed NYCAviation and other media representatives aboard the Boeing 767 at Seattle-Tacoma International Airport, they smiled and gave assurances that departure was imminent. Looking down the aisle of a Condor B767. Indeed, this omen of pleasantness was just the beginning of what would be several indicators of what Condor executive leadership refers to as “the Condor Spirit.” Condor’s strength lies in its employees at all levels of the company, and NYCAviation was among media dignitaries invited to attend a conclave at Condor headquarters to become acquainted with the business philosophy and operations of an airline which has undergone significant transformations in recent years. Not long after flight 1048 took to the skies toward Condor headquarters in Frankfurt, the cabin crew sprang into action readying the business class cabin for dinner. This service class is new territory for Condor, long (and still) known to Europeans as a low-cost vacation carrier. Long-haul routes to Frankfurt from many international destinations are a relatively recent addition to the business model. The service is designed to introduce the Condor brand to the rest of the world. 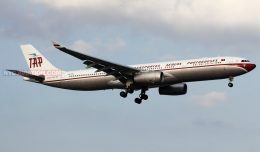 The airline has chosen to serve markets with a concentrated population interested in getting to Europe, although not necessarily for vacations. “The whole model around going on vacation is different in Germany. Germans have on average 30 [vacation] days, and they take them. This is a model not as common in the United States,” said Matthias Knobel, Condor’s Chicago-based North American marketing specialist. “People don’t go to Germany for a classic vacation. You probably instead go to Florida, or the Caribbean, and there are different airlines to do that, and you don’t necessarily book a package.” Condor instead positions itself in North America as a family-friendly airline with affordable fares, and the model appears to be working. In 2013, Condor flew roughly seven million passengers and turned a modest profit in the process. Back in the business class cabin, however, the crew was focused entirely on feeding these passengers en route to Frankfurt. 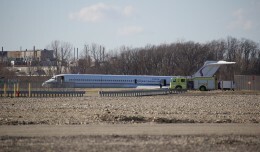 White linens were draped over tray tables, as passengers reviewed a five-course menu and made entrée selections. Real silverware – not plastic – was placed in hand and used to devour each course. Nobody seemed to mind that dinner was being served close to midnight Pacific time. During the meal, the cabin crew continued to be ever-present, offering additional beverages, additional food or, really, anything anyone wanted, within reason. The 15″ seatback display provides a large variety of programming options perfect for passing time on a long-haul flight. 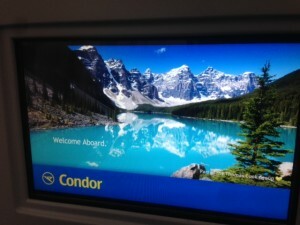 Condor’s business class product is a relatively new addition rolled out across its entire fleet of Boeing 767 aircraft. 170-degree lie-flat seats are standard in this cabin, arranged 2-2-2 across; additional amenities include 15” in-flight entertainment screens controlled either by a detachable remote or by touching the screen directly. Available on those screens are a number of television shows, movies, games, a live-updating flight route map, and a five-course meal accompanied by seemingly endless beverages and snacks. As a discount business class product, we found it to be comparable to (if not better than) the business class product offerings from US-based legacy carriers. 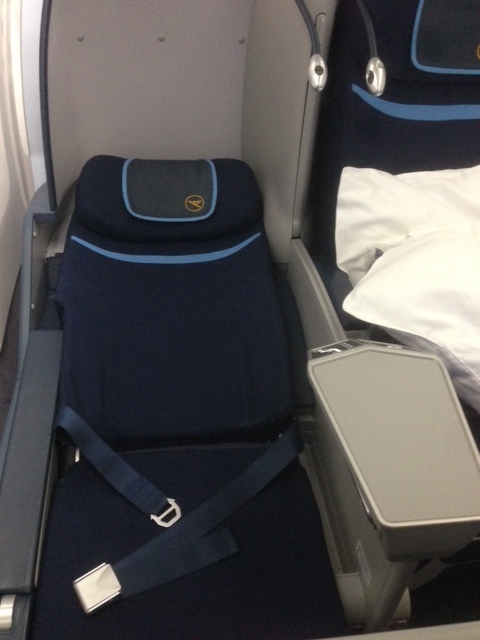 The number of business class rows varies across the 767 fleet, but common to all is the front right two seats which are converted into a crew rest area for long-haul flights. A specially designed curtain system separates these two seats into their own compartment, allowing dark and relatively quiet conditions for resting crew members. Condor has installed 170-degree lie-flat beds in business class across its entire family of B767’s. Condor business class has a dedicated cabin crew serving passengers, and we could hardly recall encountering a crew that genuinely appeared to enjoy their jobs – and their passengers – as much as the crew of Condor 1048. This experience was mirrored aboard the return flight as well. Compared to other carriers flying similar routes, Condor is relatively small. Under 4000 employees globally serve nearly seven million passengers per year using just 40 aircraft: 12 Airbus 320’s, three Airbus 321’s, 13 Boeing 757-300’s (for short- and medium haul routes), and 12 Boeing 767’s (exclusively for long-haul routes). However, this nimble fleet and the people who operate it are, from the top down, very much a unified team. We observed the company cafeteria where executive-level employees dined with employees from the maintenance shop, and even the CEO himself was in the lunch line with his subordinates. This sent a clear signal that rank is only semi-important, and each employee has a relevant, customer-facing job to do. As with most airlines, Condor has a story to tell. Born in 1956 as Deutsche Flugdienst, Condor was the first leisure carrier to fly the Boeing 747. In 1960, the Condor rebranding took place as Lufthansa’s low-fare carrier before being spun off to the Thomas Cook group. 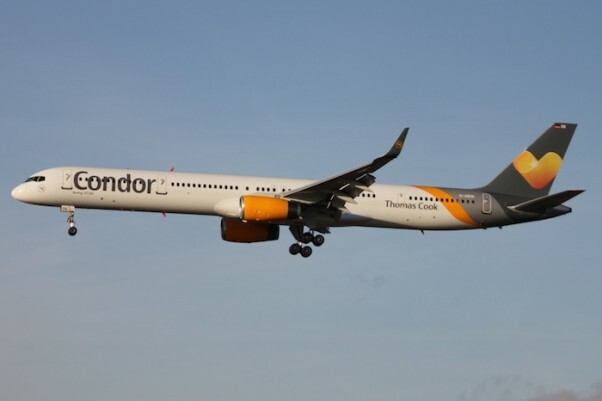 In 2009, the Thomas Cook board of directors voted to officially allow Condor to remain its own operating business with its own executive leadership team and operations. To this day, however, Condor does enjoy taking advantage of strategic purchasing and maintenance opportunities by partnering with Thomas Cook’s three other airlines: Thomas Cook Airlines UK, Belgium and Scandinavia. Together, the four airlines comprise the Thomas Cook Airlines Group. With the backing of Thomas Cook, Condor is empowered to compete in ways larger airlines cannot. Specifically, they can take some strategic risks by identifying and opening up long-haul routes to Frankfurt from destinations not served by other airlines. They particularly avoid trying to compete with Lufthansa, Frankfurt’s dominant airline by far, for the long-haul customer. “It wouldn’t make any sense for us to compete with Lufthansa,” said Winter, citing the opportunities Condor is able to identify and double down on. “That’s why we go to White Horse, Canada, which has no other major airline serving it, and that’s why we fly to Minneapolis, which has a high German population,” he said. “Our smaller size allows us to take chances on new markets with minimal risk,” something that larger airlines can’t do as easily. 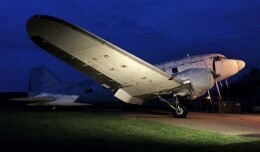 A double fuselage replica was built in Brazil and shipped to Condor for training use. 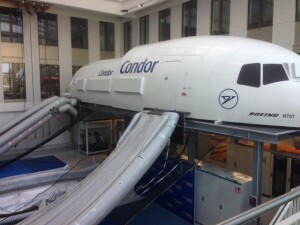 At its headquarters in Frankfurt, Condor continues working to reinvent both the passenger and employee experience. Members of the press were shown around all of Condor’s facilities to get a sense of this effort. This experience included a flight attendant training session in the mock-ups used by Condor’s cabin crews. A specially made Brazilian duo fuselage pairs the front of a Boeing 767 back-to-back with the front of an Airbus A321. The mockup is fully computerized to simulate any kind of emergency scenario. 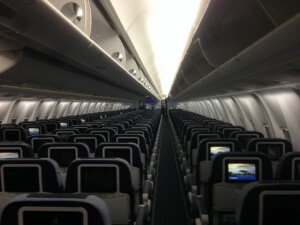 Emergency slides are permanently deployed, and cabin windows are retrofit with video displays to simulate different phases of flight as they would appear in reality. Florian Fuchs, manager of safety and emergency procedures for Condor, took participants through a wide variety of exercises. A full emergency evacuation was practiced, complete with removing the emergency exit door and escaping down the slide. Next, we trained in inflatable vest operation, removal of unconscious passengers, and basic life raft operations. We also simulated various other cabin calamities such as galley fires, emergency locator beacon fires, and water landings. 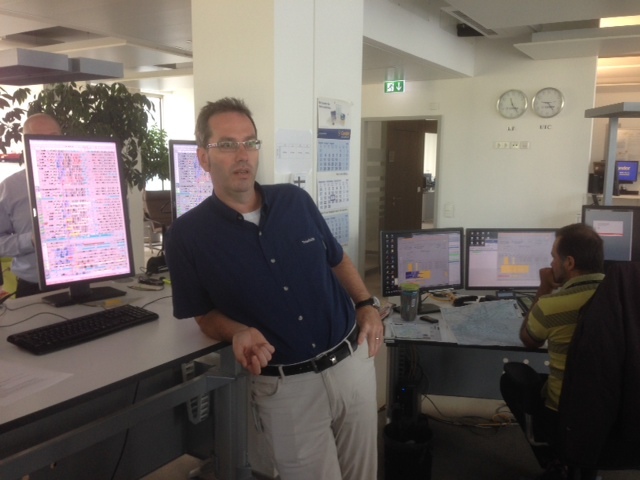 Torsten Pehns, Condor’s operations control manager, explains the inner workings of the command center. After becoming fully certified flight attendants (but, sadly, without job offers), members of the media next visited Condor’s operations center. In this large, quiet room filled with monitors tracking data and people watching them, all of Condor’s fleet and crews are managed for optimum efficiency. Torsten Pehns, Condor’s manager of operations control and dispatch, explained that being a smaller airline has advantages. 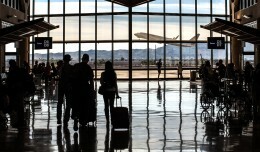 “Whereas larger airlines would require dozens of people to synchronize all kinds of maintenance and flight operations, we can do it with a somewhat smaller team more interwoven together and with greater cross-training,” he said. This echos a very common strategy among internet start-ups: stay lean, value your employees and trust them to do the jobs for which they are hired. One glance around Condor’s 57,000 cubic meter maintenance hangar reveals a pristine facility with nary a tool or part out of place. On this day, one of Condor’s Boeing 767’s was in the hangar for a routine “A-check,” a high-level systems inspection performed after every 750 hours of flight. Fleet Operations Manager Peter Aurich explained the careful nuances of maintaining 40 aircraft simultaneously. 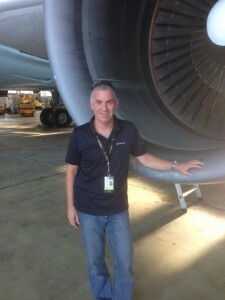 Peter Aurich, Condor manager of fleet operations, in front of a Pratt & Whitney engine recently installed on a Condor 767. “When it’s cold and we have an aircraft outside the hangar, we’ll often construct a tent around the engines so they can be kept warm enough to work on,” he said. “Maybe not the most ideal, but it works, and that’s how we keep the planes safely in the air.” He looks forward to the day when the current hangar would be razed to make way for a new third passenger terminal and a new, larger hangar built elsewhere on the airport. “I wouldn’t have believed it if I hadn’t seen it myself, “Aurich said. Soon, Aurich finished his in-depth and highly informative tour of the Boeing 767, and was asked what is the best part of his job. Aurich fell silent for several moments before responding. Eric McKirdy is one of NYCAviation’s associate editors as well as being its west coast bureau chief. You can find him on Twitter.